Many businesses occasionally (or even frequently) require the services of part-time and/or specialty contract workers. Workloads may be seasonable. New projects require talent that is not currently available on staff. The business cannot find qualified permanent employees. Whatever the reason, sometimes the company must hire 1099 workers. 1099 workers generally consume fewer HR resources because they are provided with fewer benefits, and they are paid without tax and other deductions. Generally they are not entitled to holiday pay, or any PTO pay. However, their hourly rate (or fixed base pay) is usually higher than their coworkers performing the same or similar tasks. Here-in lies the potential problem. What if the 1099 “employee” actually works full-time and truly functions essentially as a full-time employee, particularly if the worker has been with the organization for many months, or even longer? Microsoft and many other large corporations have been disciplined by the US Department of Labor for breaking the guidelines for 1099 classification, and have subsequently modified their policy for hiring 1099s. For instance, Microsoft now limits contract workers to 18 months of continuous employment. Afterwards the worker must wait 6 months before being eligible for rehire. 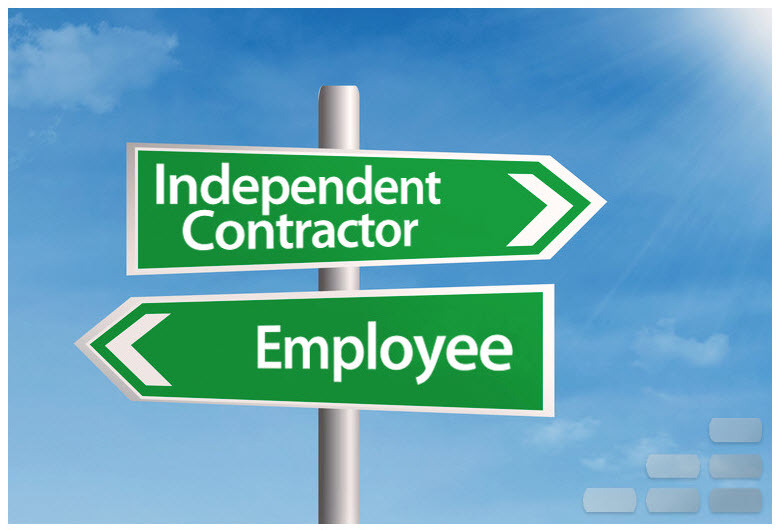 As a matter of fact, in 1990 the IRS determined that many of Microsoft’s independent contractors were functioning as full-time employees, forcing Microsoft to pay significant back taxes and overtime. But beyond the legalities of classifying 1099s correctly, there is the issue of emotional status within the company. Full-time 1099s that have been with the organization for a while look and feel just like true employees (W2s), but they aren’t. How would you feel if your coworker brags about his/her paid vacation plans, or end-of-year bonus pay, when you are doing the same exact work with none of those perks? Or conversely, what if the employee discovers his pay rate is significantly lower than the 1099 sitting right next to him? HR may then have to explain the reasoning to a growing disgruntled staff. Worse yet, what if the full-time workforce feels threatened by “outsiders” potentially taking their jobs? Even though company employment contracts may clearly spell out full-timer benefits vs. contract workers pay policies, the terms in that document are long forgotten 9 months later during water-cooler chat uncovering the positives and negatives of each classification. So what is an organization to do when hiring 1099s is the only option? If the quantity of contract workers is small, then there probably isn’t any need to be concerned. But if, like Microsoft, the need for 1099s is great, the company should inform employees of the reasoning for hiring, and reassure them that contract workers are not hired with the intention of replacing anyone. And most importantly, make it clear that compensation plans vary greatly between W2 and 1099 employees. Potentially the company could even offer current W2 employees the option to change their hired status if desired. The key is open communication with the general workforce, and following the Department of Labor’s guidelines and policies.